The “I Love You Everywhere” website has been created to further expand the intent of the “I Love You” project by making it possible for anyone in the world to be a part of the shared expression of love. It is an exploration of ways to use technology to connect to one another using the web. 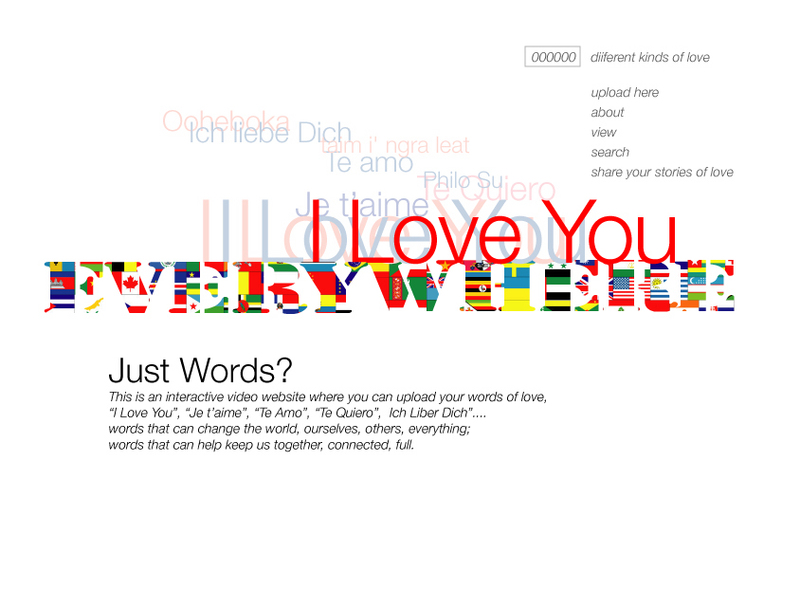 It has been created so that anyone can access the site and add their version of “I Love You” using the internet, a camera and a computer. Once recorded or uploaded, the clip is added to the collection building the love from everywhere in the world, in every language. The site will work as a database gathering, storing and playing all versions of “I Love You” from anywhere in the world. 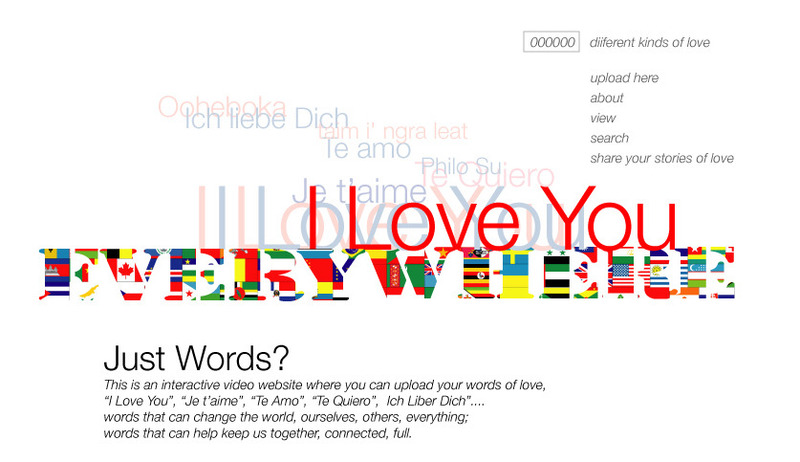 The “I Love You Everywhere” website was built to interact with the “I Love You Too” video installation. Each new version recorded at a venue was fed into the website adding to the dimension of the work by multi layering different aspects of communication and feeding into each other. At the same time, the work is a critique on media and emotional disconnection. Each viewer is faced with their own feelings of love as reflected in empathetic responses, often with revealed emotional intensity. "I Love You" words that connect to something one can only feel in others.